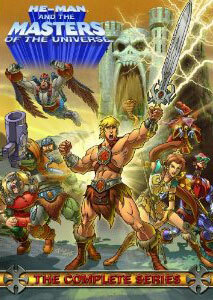 I have a new best $7.99 I’ve ever spent, and it was on He-Man and the Masters of the Universe: The Complete Series. This isn’t the original series that aired in the early 80’s, which by the way was pretty awesome in itself. This was the series that aired on Cartoon Network 2002-04. I’d never seen an episode before, but randomly had someone I follow on Twitter share a link on YouTube of how Skeletor lost his face. Upon watching that, I was figured I’d see if I could find some more of these episodes. The complete series of 40 episodes was on Amazon for only $6.99, so I figured why not and ordered it. A recent week off from work and a decent blizzard led me to finally get around to watching this series. It was amazing. The stories were really great, and not just by cartoon standards. The detail that they paid to characters that my brothers and I used to play with over 25 years ago was amazing. I wish all retellings of franchises were of this caliber. Skeletor and his evil warriors are depicted as the formidable and evil foes were depicted perfectly. Even obscure characters such as Stinkor and Fisto not only were featured, but given plenty of screen time. It was great recalling all these characters that I thought I had forgotten. Highly recommended, I wish the series hadn’t ended at 40 episodes.